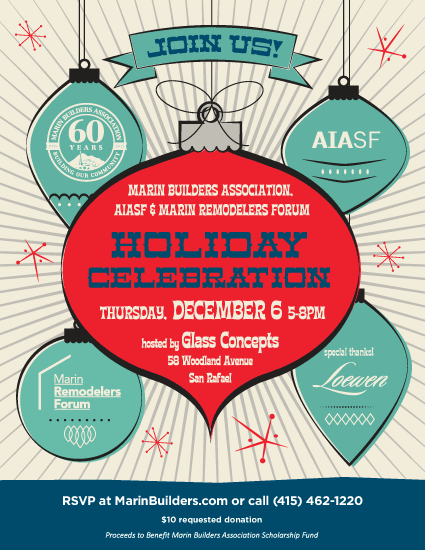 Join Marin Builders Association as we partner with AIASF & Marin Remodelers Forum at the beautiful Glass Concepts Showroom for this special holiday evening. The festivities include passed hors d'oeuvres, a hosted bar, live holiday music and networking. Proceeds to benefit Marin Builders Association Scholarship Fund.